Get ready for the tastiest mojito you’ve ever had in your life! When making mojitos you need to crush up the mint leaves. The best way to do is by using a wooden muddler. A kind of pestle made from wood. If you do not have one, every other big blunt object will probably to as well. To make the simple syrup combine 200ml of water and 100g of brown sugar in a small sauce pan. Heat up the pan to make the sugar completely dissolve. The liquid will have the color of honey. This will give you about 20cl of simple syrup. You can store this in a tightly closing jar in the fridge for up to two weeks. You will probably end up with too much mint and maybe even bought too many limes. Make mojito ice cubes instead of throwing stuff away. Look for the tip at the end of the post!! Make one damn tasty mojito! Cut the lime into wedges. Put the lime wedges into a big glass (300ml), add the mint leaves and the brown sugar. Using a wooden muddler give the content a few sturdy twists and pushes. This will squeeze out the juice of the lime, and slightly tore and crush the mint leaves, combining all the flavors. Add the white rum and simple syrup. Give a good stir to loosen the crushed lime and mint from the bottom and combine with the liquids. Fill up the glass with crushed ice and give another stir. Serve with a straw. Serve your mojito immediately – and / or start making even more! 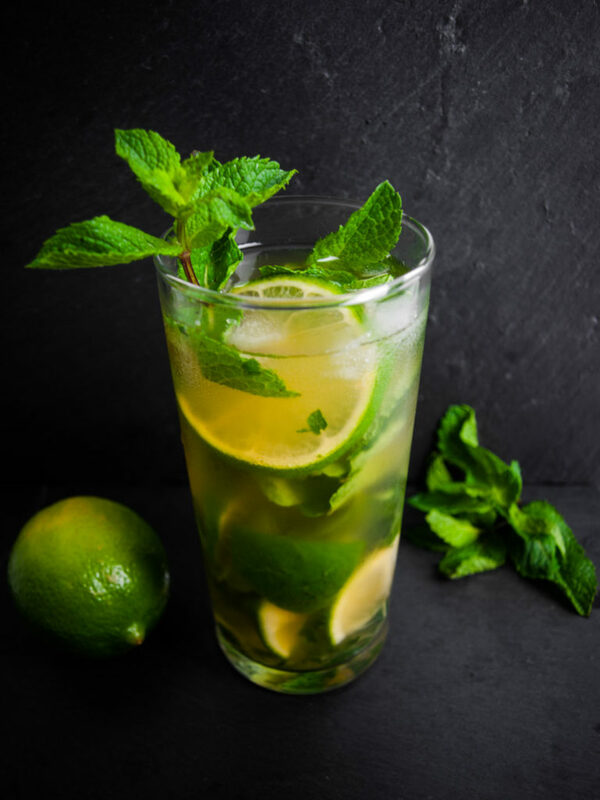 Tip – Mojito ice cubes: To make mojito ice cubes add your mint leaves and cut-up lime wedges into ice cube trays, sprinkle with a bit of brown sugar and fill up with water. 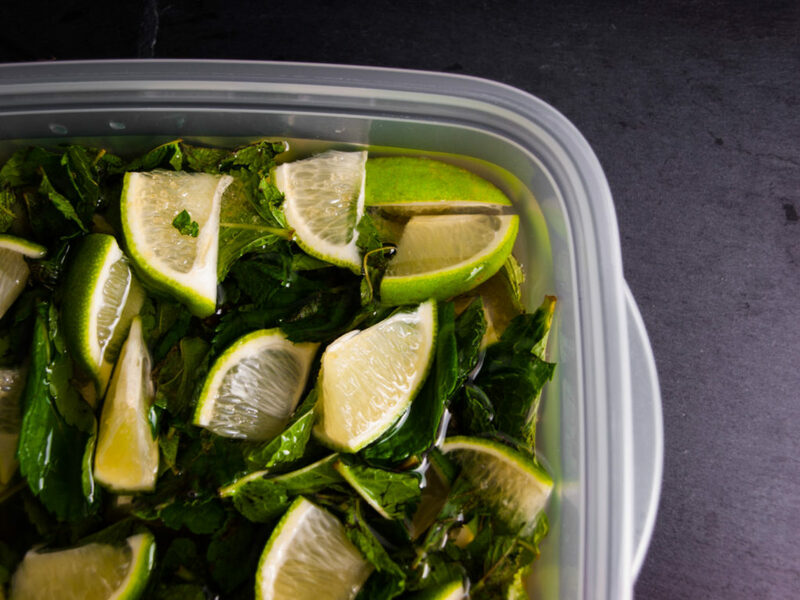 Freeze and use the ice cubes to cool your mojito without watering them down! Well, what do you think? Do you like the ratios of the mojito or do you think it’s out of balance? Have you ever made simple syrup before with raw brown sugar? And what about the mojito ice cubes? Let us know in the comments below!